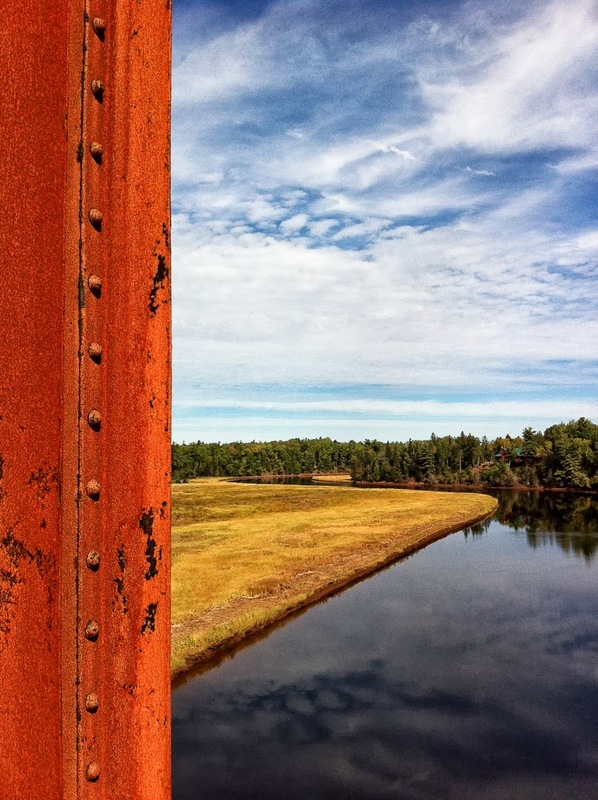 Old "Short Line" rail bridge near Tatamagouche, NS. Happy Thanksgiving! It has been wonderful watching the leaves change colour as we've been travelling throughout Nova Scotia this fall. We've already driven over 4000 km or so, and we still have more locations to visit. Tomorrow morning we head to Cape Breton, where there Celtic Colours festival is in full swing. The island should be bustling with activity, but we'll be tracking down old mines and industrial locations, rather than celtic music. 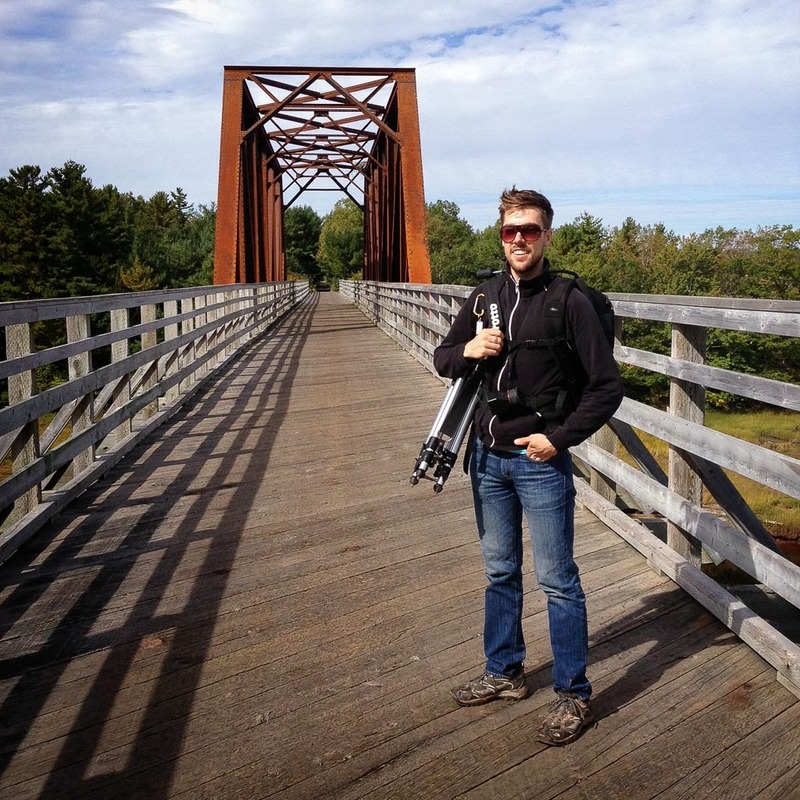 Eliot Wright on the Swing Bridge. If we were to go back 100 years, it is likely we'd be taking the train to Cape Breton. 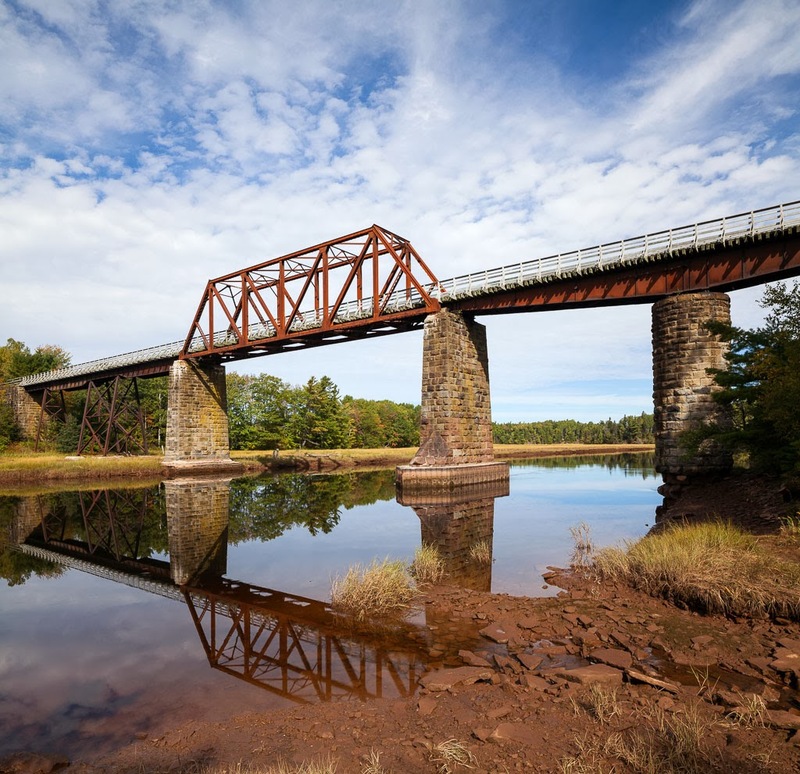 The rail system was king then, and there were many more railways that snaked across the landscape, connecting communities throughout Nova Scotia. Developing in tandem with the industrial revolution, the rail system was incredibly important for industry as a means to move product. As a matter of fact, if you look back, the railways in the province were strategically laid out to pass through communities with a large industrial presence. Visiting sites in present day, it is interesting to see how things have changed. At some sites—like Ferrona and Londonderry—you can barely pick out forgotten rail-beds, whereas locations like Trenton Works (in Trenton) and National Gypsum in Milford you'll find trains are still used to move material (if less frequently). In other places, you can see retired railways that have been converted into trail systems like the Trans Canada Trail, which meanders its way across the whole country via old rail beds. 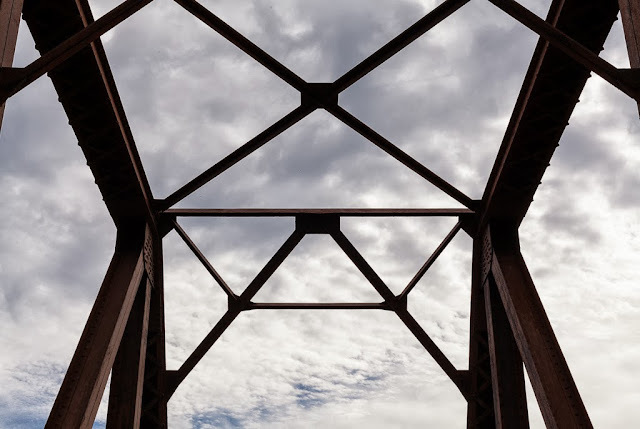 Detail of common rail bridge construction, taken by Liz van Allen. The Swing Bridge, near Wallace, NS, now part of the Trans Canada Trail.